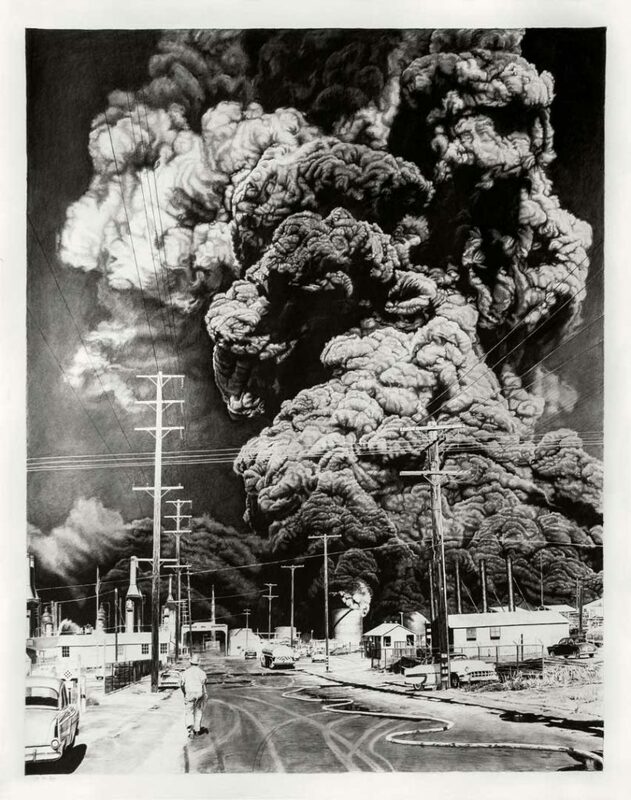 In this guest post, artist Joel Daniel Phillips helps us understand the motivations for his precise graphite drawings in our upcoming Downtown exhibition, “It Felt Like the Future Was Now.” Phillips is currently a Tulsa Artist Fellow. We live in a world that consumes images at an exponentially increasing rate. Smartphones, social media, and the internet have made the creation and the consumption of images not just commonplace, but unavoidable, and with this ever growing consumption comes a numbness to the complex reality of the images upon which we gorge ourselves. Legendary architect Le Corbusier once said “the only way to truly understand something is to draw it,” and this is the center of my work—an attempt to sincerely grasp what I see through the tip of a pencil and a piece of charcoal. My creative process is inherently about creative draughtsmanship. Against the modern backdrop of instant, image-driven gratification, I have found the physical process involved in the painstaking rendering of a moment to be more important than ever. 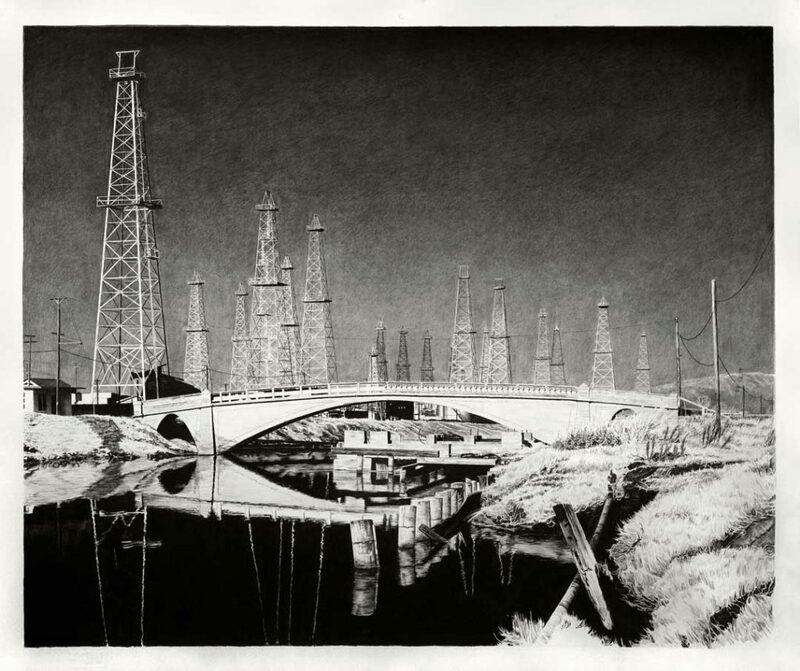 The rigorous, meditative labor of observation through draughtsmanship is a means to an end. This end being, for me, a deeper and richer understanding of the world around me and the complexity of its histories. See “It Felt Like the Future Was Now” at Philbrook Downtown. On view Feb 1 – May 19. Joel Daniel Phillips, This is the New Appearance of Venice, 2018. Charcoal, graphite, and ink on paper. Courtesy of the artist. Joel Daniel Phillips, Towards the End of All Things, 2018. Charcoal, graphite, and ink on paper. Courtesy of the artist.